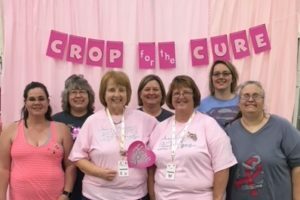 Benefiting Susan G. Komen, join Crop for the CUre® on Saturday, April 7 from 9:00 am to 7:00 pm, Rose-Hulman Institute of Technology, Sports and Recreation Center (SRC), 5500 Wabash Avenue, Terre Haute. Register for a full day of scrapbooking / crafting and loads of fun including photo ops with friends, vendor displays, yard sale, raffle prizes, door prizes and charms. New this year, yoga with Leah, chair massages by Ivy Tech students and student volunteers to help with loading and unloading. Lunch and dinner are included with a paid registration.